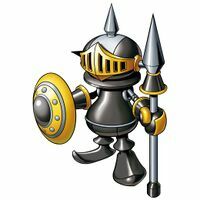 Pawn Spear  ポーンスピアー Pōn Supia Pawn Spear/Bone Spear Stabs with its spear. 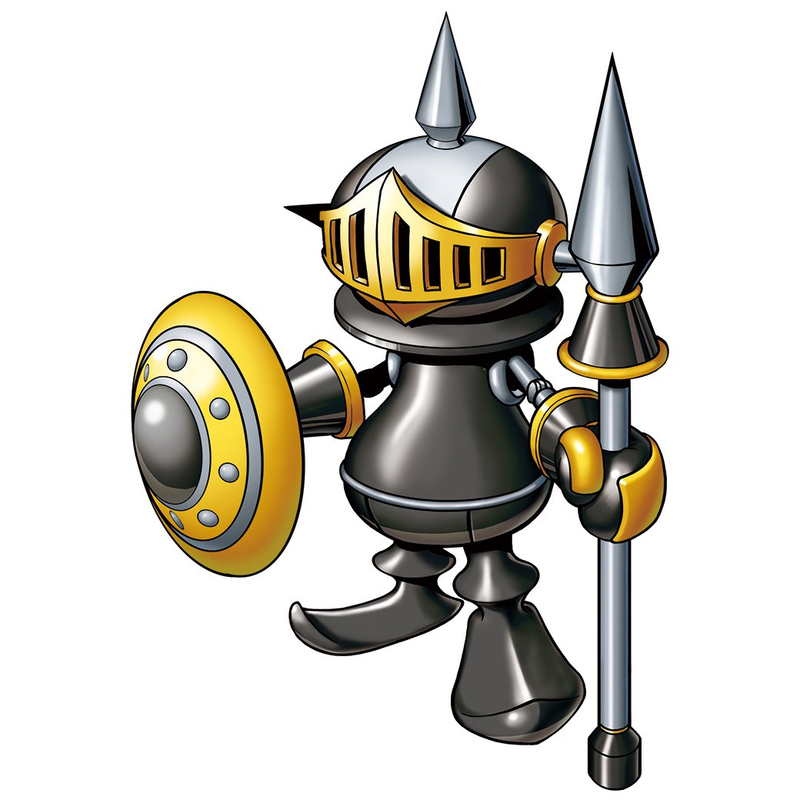 Pawn Chessmon (Black) is the partner of Kurosaki Miki. 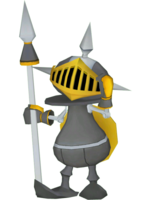 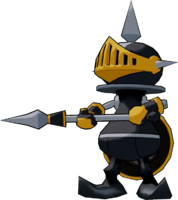 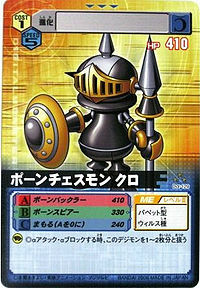 Pawn Chessmon (Black) is only obtainable as a collectible card. 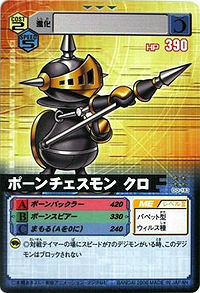 Its card is part of the Chess Digimons (チェスデジモンズ Chesu Dejimonzu) set and the Black Digimon (黒いデジモン Kuroi Dejimon) set. 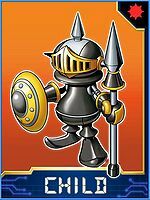 Pawn Chessmon (Black) is available as a Digimon Medal. 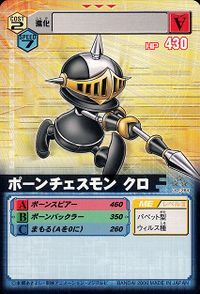 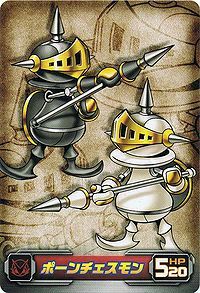 Pawn Chessmon (Black) is available as a Digimon Card. 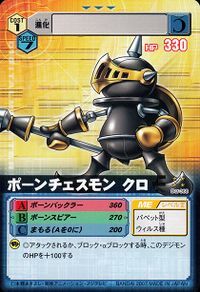 Can be obtained as a Burst Evolution of Koromon.